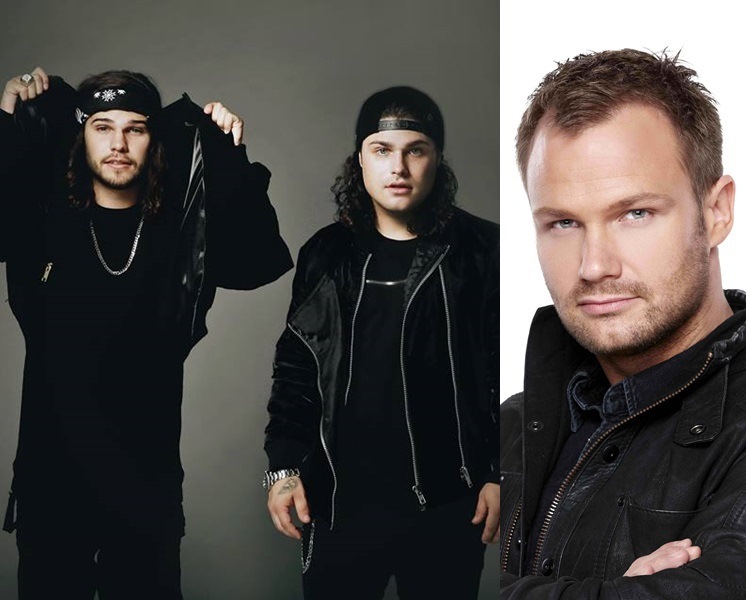 Canadian DJ duo DVBBS (pronounced as “Dubs”) made up of brothers Chris Chronicles and Alex Andre is ready to rock Malaysian revellers once again after their sold out show in the country last year! This time, they will be sharing the stage with a special guest from Netherlands, Dash Berlin, a true icon of the electronic world! Dash Berlin was supposed to play at Malaysia on 19 February this year, but had to cancel at the very last minute due to some technical issue with his flight to Kuala Lumpur. Furthermore, that is not the first time that there has been a cancelled Dash Berlin show in the country, he was also supposed to take the stage in Malaysia on April 2015 for “Thirst 2015: We Are All Stardust”, but the festival got cancelled as the permits had been revoked. DVBBS is most famous for their joint international hit with Borgeous titled “Tsunami”. Their vocal remix of the hit song entitled “Tsunami (Jump)” featuring Tinie Tempah, reached number 1 on the U.K. charts. The two hot EDM acts will surely deliver an amazingly outstanding night on 27 May 2016 at KL Live, 8pm onwards. 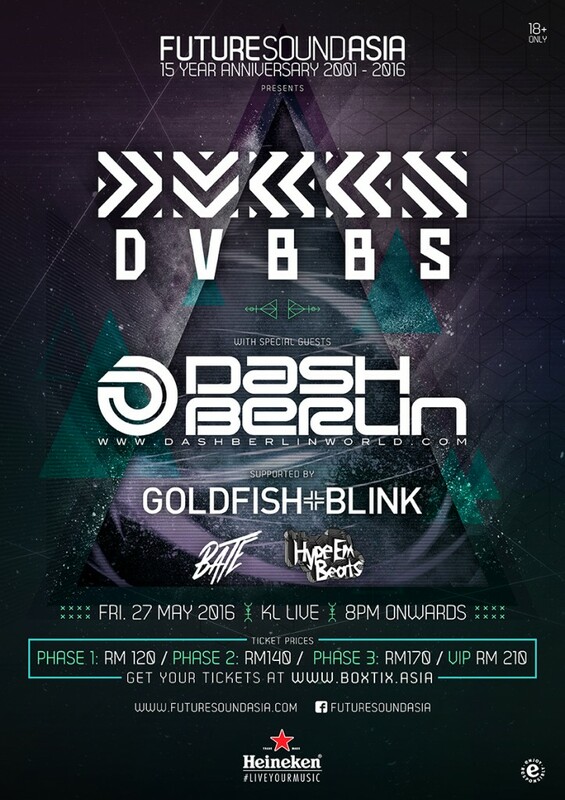 They will also be joined by local EDM masters Goldfish & Blink, BATE and HypeEmBeats. 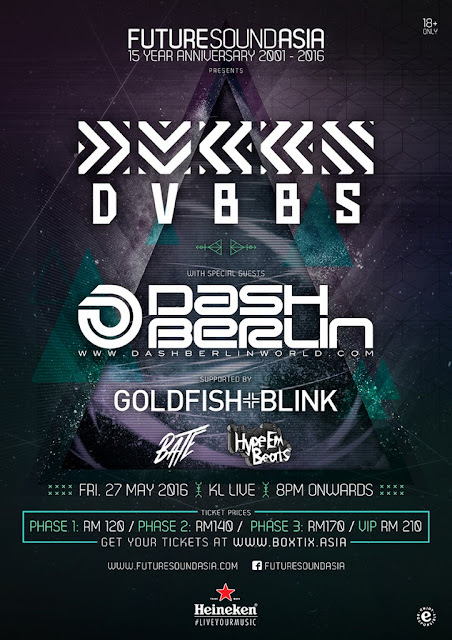 Before performing in Kuala Lumpur, DVBBS will make a stop at Mixx Club, Malacca Mahkota Parade on 26 May for a show. Tickets are sold at RM120 (Phase 1), RM140 (Phase 2), RM170 (Phase 3) and RM210 (VIP) – only at boxtix.asia.